Back in 2003 Ben Fulton started Red Witch Analog Ltd with the intention of delivering high quality that draws influence from the classic analogue units of the '60s and '70s. It wasn't long before these innovative little units were being used by some of the industry's biggest names including Andy Summers of The Police. 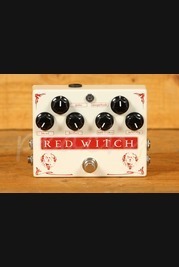 We have a great selection here at Peach including the incredible Red Witch Medusa Chorus Tremolo pedal. 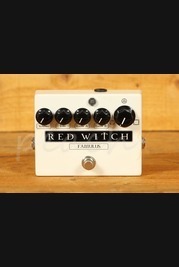 Order your Red Witch online today, if you'd prefer to try before you buy then head on down to our store based in Colchester and one of our experienced team can help set you up with a demo. Our team of guitar enthusiasts are always on hand online and in store to answer any technical questions you may have or to help you find the right guitar or effects pedal for you. Don't forget, if you order online and spend over £100 you'll enjoy free delivery and Next Day Delivery on orders placed before 3pm.